Wyndham Hotels & Resorts has opened the company’s 100th hotel in region, Wyndham Garden Dammam in the Kingdom of Saudi Arabia. This milestone follows several other significant openings in 2018 across the region, including new hotels in the United Arab Emirates, India and three additional hotels in Saudi Arabia, further strengthening the diverse offering of brands and destinations. 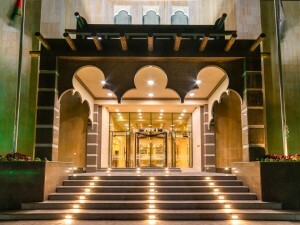 Ignace Bauwens, Regional Vice President—Middle East, Eurasia and Africa, Wyndham Hotels & Resorts, said, “We are exceptionally proud to have reached the incredible milestone of 100 hotels in the Middle East, Eurasia and Africa region with our latest opening in the Kingdom of Saudi Arabia. With a wide footprint of hotels, significant diversity of brands and a robust pipeline in place, our mission is to make hotel travel possible for all. Reaching 100 hotels in the region marks another important step in our quest to offer travellers unique and authentic experiences, wherever and however they want to travel. Growth will continue to be our focus in 2019 and beyond, as we expand our footprint further and continue to bring more hotel choice across the entire region.” Wyndham Garden Dammam opened its doors in December 2018. Marking the introduction of the Wyndham Garden brand in the Kingdom of Saudi Arabia, the opening further strengthened Wyndham Hotels & Resorts’ portfolio in this key growth market, now including 15 operational hotels and over 2,300 rooms. Located in the heart of Dammam, Wyndham Garden Dammam offers a variety of rooms, suites and apartments and a fully-equipped female and male health club, as well as a restaurant, café and executive lounge.